Deputy Minister of Trade and Industry, Carlos Ahenkorah, has asked leaders of the Africa Free Zone Organisation (AFZO) to consider providing dedicated enclaves for start-up companies to help boost the industrialisation drive and create jobs for the continent’s teeming youth. 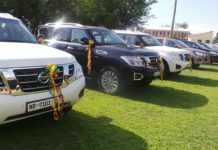 This development, he said, when fully pursued will help accelerate the continent’s industrialisation agenda and create employment to grow the African economy through the private sector. “I want to ask leaders of the Africa Free Zone Organisation to think about supporting start-up companies. It is not easy for enterprising young people – especially just after completing school – to wake up and establish a business. It is difficult to acquire capital. “If it is possible, let us see how best we can create a support system wherein start-ups will have access to operate and do business so they can grow from their humble beginnings. 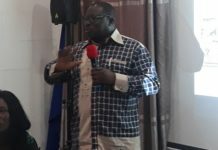 Free Zones leaders should consider enclaves to support start-up companies,” said Mr. Ahenkorah at a training workshop held in Accra and hosted by Ghana Free Zones Authority (GFZA). Under the topic ‘Management, Development and Sustainability Mainstreaming into Economic Zones and Free Zones for Investment Attractiveness’, the event discussed various relevant issues related to investment and industrial development in Africa. The training workshop brought together members from the Africa Free Zone Organization and was aimed at creating a unique opportunity for participants to explore and obtain crucial information on the roles, challenges and critical issues relating to the development of African Economic Zones. It was also to support members to promote good governance and deploy best practices in the development of sustainability for industries and investment in Free Zones. Speaking about government’s industrialisation drive, Mr. Ahenkorah said it is the ambition of government to set up one industrial park in all 10 regions to drive industrialisation and boost the country’s economy. 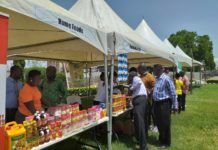 B&FT has gathered that the Ghana Free Zones Programme is designed to promote processing and manufacturing of goods through the establishment of Export Processing Zones (EPZs), and encouraging the development of commercial and service activities at sea and airport areas. It works to create a conducive atmosphere for foreign investments and currently has capital investment worth over US$3.4billion, with over 200 companies. The free zones enclave has been exporting an annual average of US$1.5billion worth of products since its establishment in 1995, or some US$30.9billion over the past two decades. Its focus, currently, is to do some US$5.4billion of exports in 2018 by licencing more free zones companies. 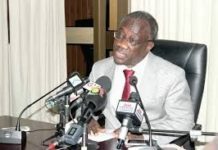 Chief Executive Officer (CEO) of the Ghana Free Zones Authority, Michael Okyere Baafi, said the Authority has introduced tax incentives to attract Foreign Direct Investment (FDI) to create jobs for teeming Ghanaian job-seekers. “We are looking to create opportunities for knowledge and skills transfer. We are in competition with other African countries which are also going to the same market to attract investment. “In Cote d’Ivoire for example, the normal exemption regime is being implemented and the post-exemption tax in Cote d’Ivoire for corporate bodies is 1 percent while in Ghana the post-exemption tax is 15 percent. So, we cannot even compare with them because they are doing a lot of things that we are not doing. “They are even giving duty-free exemptions even to luxurious cars that enter Cote d’Ivoire, but we don’t give. So, we have to be careful as we think about reviewing our incentive regime since we will all be going to the same market to attract investment. The fact is investors follow countries whose incentive rates look attractive. He said: “From the beginning of its production to the last-but-one stage, Barry Callebaut Chocolate is produced by Ghanaians”. “For the first time in the history of GFZA, this is the time when we have three different regimes operating at the same time. We have normal compliance auditing, monitoring – and we have also hired an external auditor. So, it will be very different for companies to beat the system. “However, if these companies decide to do that, there are other state institutions which can arrest them,” he said. Highlighting the organisation’s role in supporting Africans through experience sharing, information exchange, building strong alliances, and establishing Network and Knowledge Platforms, Ahmed Bennis – General-Secretary of the African representative Organisation – stated: “This workshop session is a good demonstration of the strong relationship between AFZO and its members’ community”. He explained that Economic Free Zones have multiplied around the world since the 1980s, mainly in response to the wave of off-shoring industrial production. Africa is following this successful model of development to push economic activity. Today, there are more than 200 Free Zones in African countries, which can be broken down into Free Trade Zones and export processing zones and to which may be added more than 450 ‘free-points’. He indicated that Free Zones have played a strategical role in the economies of many countries, adding that the AFZO is aiming to promote better collaboration between African Free zones in different fields related to zone development – including economic, social, tax, knowledge and experience areas.